London is all about design these days. In addition to the London Fashion Week (15-22 Sep 15) it’s also a week of Design. The London Design Festival this year runs from 19 to 27 September 2015. On this occasion, I was very excited to join an evening with Oliver Bonas & their product designer Molly Park. Coming from an arty background & designer family, it was great to be a part of this small behind the scene event. Oliver Bonas took a place in the London Design Festival (LDF15) for the first time & they are really excited about it! Having their own in-house design team they go wild with the new patterns & colour themes each season. After years spent in corporate dry & cold environment it was amazing to see creativity be appreciated, celebrated & encouraged. I’m my self a huge fun of this brand & proud owner of few amazing pieces. I fell in love with the positive vibe of this brand few years ago. I walked into one of their tiny shops on Old Street and discovered place of colour & style, with a happy & laid-back staff. I’m a passionate online shopper, so what puts me off the most in many stores, is when you feel pushed into the purchase or being instantly followed by the staff, who miraculously disappear when you really need them – and Oliver Bonas stores has proven to be relaxed & enjoyable even when you only came to browse. This evening with Oliver & Molly’s presentation wasn’t an exception. She talked us through her inspiration behind key pieces from the collection & work life in design office. She explained the creative process, presented her moods boards & ideas with ease like a true speaker. So what do they do? They design, make & sell an eclectic range of fashion, jewellery, homeware & gifts. Finding suppliers & inspiration across the world. Mixing all ingredients into these enjoyable & practical pieces. I liked this little sneak pick into Oliver Bonas kitchen & hope I will see more of them soon. Have a look on some Molly’s picks – available now in stores & online. 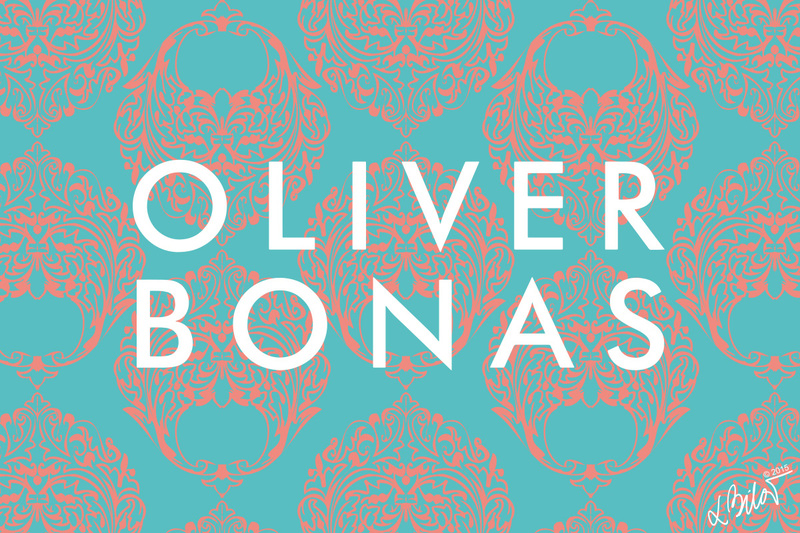 Find out more about Oliver Bonas history here. Few years ago when I was obsessed with vectors I created these. Patterns & backgrounds were my daily passion. Check out few of them below or a full collection here. “If you lose hope, somehow you lose the vitality that keeps life moving, you lose that courage to be, that quality that helps you go on in spite of it all. And so today I still have a dream.” – Martin Luther King jr.
Ahaha my gf said just a few days ago that she’s been to Oliver Bonas and loves the champagne glasses and that she’s getting them for our house. Now here you go – blogging about them! Looove Oliver Bonas! The best thing about this brand is that they make everything from the kitchen wear to the jewellery & furniture – so once you are in you can’t leave empty-handed :D #OliverBonas forever!